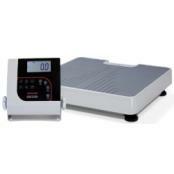 Rice Lake has an extensive line of medical scales. 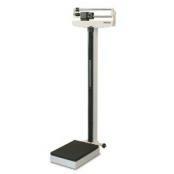 Rice Lake has been a recognized and trusted name in weighing since 1946. That experience is now being put to work in the health care field, with a broad selection of medical devices that meet the highest standards of quality, performance, and value. 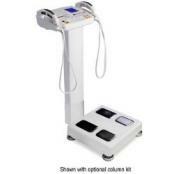 Rice Lake’s medical scales available from Central Carolina Scale, are the scale of choice for hospitals, clinics, nursing homes, and fitness centers. 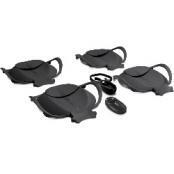 RLWS line includes baby, physician, handrail, wheelchair, and chair scales. The innovative design incorporates advanced movement compensation technology and patented hinge joints on the rails for quick setup and transport. The Rice Lake collection combines superior features and competitive pricing with Rice Lake’s legendary commitment to service, selection and speed. 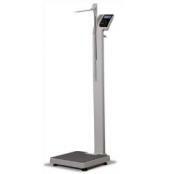 Developed and manufactured to high professional standards, the medical scales are the scale of choice for use in hospitals; institutes; clinics; physician/physiotherapist practices; fitness centers and sports clubs. The health way for the best in weigh care and information, Rice Lake scales is a world leader of quality weigh products combining core scale engineering with sophisticated software. 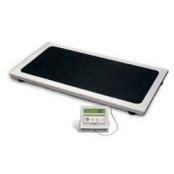 Rice Lake Dialysis Scale - SD-1150-WPThe Summit Dialysis Scale is designed to be mounted in a pit flush with the floor, or above ground with optional ramps for easy-access, multipurpose weighing. The patient simply walks, or is wheeled, onto the weighing platform to be weighed. 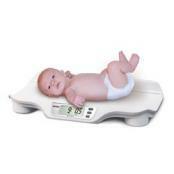 Rice Lake Digital Baby Scale (RL-DBS)Even the most active babies can be weighed and measured accurately, safely and quickly with the RL-DBS. The baby can be placed on the scale, quickly removed, and then have its weight recalled for charting by pressing the Recall key. 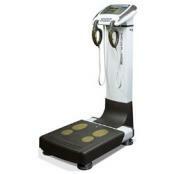 Battery or AC-powered Digital Baby Scale can be placed anywhere in the facility. Rice Lake Medical Bariatric ScaleHigh capacity handrail scale is designed for weighing patients who need extra support and safety. Advanced movement compensation technology eliminates error caused by involuntary movement of unsteady patients. Available with chair seat too. EMR ready with USB. 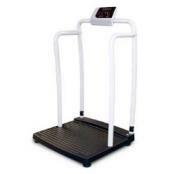 Rice Lake Portable Fitness Scale THE 150-10-7 Portable Fitness Scale provides the outstanding accuracy when weight is a critical factor. In wrestling programs, weight-loss centers and even health clubs, weight can determine membership fees or classification levels, therefore weight accuracy is very important. 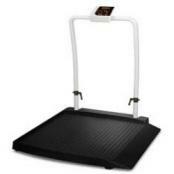 Rice Lake Single Ramp Wheelchair Scale (350-10-2)High capacity allows accurate weighing of widest range of patients. Efficient keypad tare reduces errors and increases efficiency. Foldable and innovatively light, this sturdy 350-10-12 wheelchair scale is easily transported on two heavy-duty rear wheels to any location. Cap: 1000 lb No assembly required. 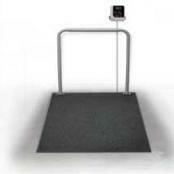 Rice Lake Veterinary Scale (740-10-2)This scale offers a large 22 x 42 inch weighing platform for general purpose weighing up to 600 lbs. A low profile non-skid surface enhances the versatility of this device, making it perfect for weighing the broadest range of capacities and sizes.